Hurley Doddy is a Managing Director, Founding Partner, and Co-CEO of Emerging Capital Partners (ECP). As Co-CEO, Mr. Doddy is responsible for providing overall leadership and strategy for the firm, including management of the investment staff. 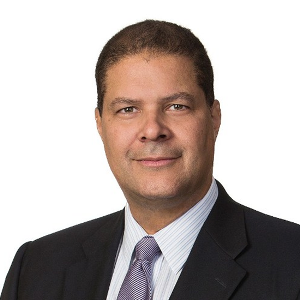 With 30 years of private equity and finance experience, Mr. Doddy provides a breadth of finance and transaction experience and is active in all phases of the investment process. He serves on ECP’s Executive Committee and on the Funds’ investment committees. Prior to joining ECP in 2000, Mr. Doddy was an Executive Director at Sumitomo Finance International in London, where he managed the operations of a $200 million equity risk arbitrage book, creating arbitrage and convergence strategies. Mr. Doddy’s career in finance began at Salomon Brothers in 1984, lasting over 14 years with assignments in New York, Tokyo, and Sao Paulo. While at Salomon, Mr. Doddy gained a wealth of experience in bond trading, hedge management, fixed income and equity derivatives, and emerging markets investing. In 1997, Mr. Doddy was appointed Managing Director of Salomon Brothers, responsible for managing all fixed income and equity risk positions for Banco Patrimônio, Salomon’s joint venture in Brazil. In this position, Mr. Doddy also oversaw the asset management, equity underwriting, and customer fixed income businesses. Mr. Doddy received a bachelor’s degree in economics with honors from Princeton University and holds a Chartered Financial Analyst (CFA) designation from the CFA Institute. He is Chairman of the African Venture Capital Association (AVCA), and has served on the boards of Oragroup (West and Central Africa), Celtel International (Pan-African), Charaf Corporation (Morocco), Agromed S.A. (Tunisia), Continental Reinsurance (Nigeria), All Africa Airways (Mauritius), Air Ivoire (Cote d’Ivoire), Société Internationale de Plantations d’Hévéas (SIPH) (West Africa), and Maarifa Education (East Africa).